Welcome everyone to the Majestia Tips and Tricks guide. 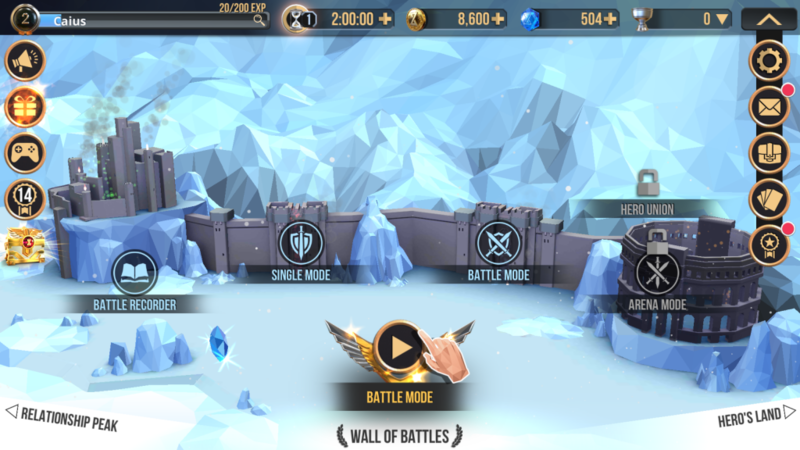 This guide is to help you understand the mechanics of the game and give you some tips to help you further yourself in the game. 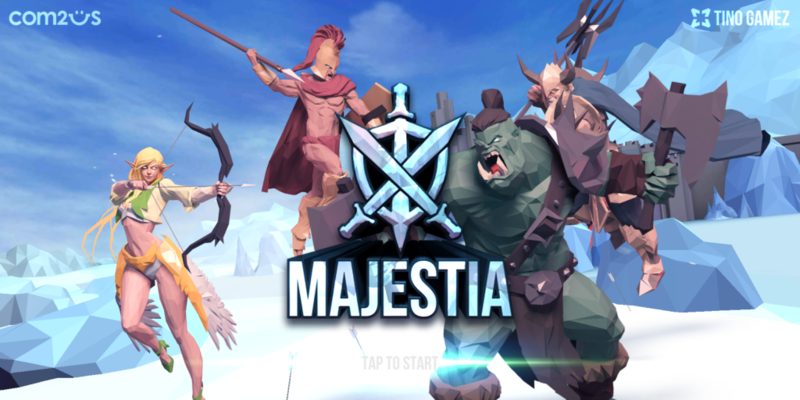 Majestia is a card-based strategy game where you take control of a group of units based on different popular creatures from many different mythologies. From Greek Gods like Zeus to Fantasy heroes like King Arthur. In the game, you have a field set up with two sides where you and another player take place at. The goal is to set up your forces on your side and battle it out with your opponent. The map is made up of a series of squares and each square acts as a movement space. So it has a bid of a grid movement system added to it. In Majestia, you’re given a deck of cards that determine the heroes you can use and the kinds of spells and effects you have. Each turn you can play units, a Hero, or a card that has some kind of effect linked to it. Your goal is to defeat the units of your opponent and clear the field until there’s nothing left but your units. To do so you need to utilize the cards you have in the best ways possible. When it comes to playing Hero cards, these being like Zeus and King Arthur, you can place them on top of spaces that already have units on them. This makes your units far stronger and gives that group an edge in battle having a hero with them. There are different kinds of units you can play on the field depending on what cards you have. Units are cards that have different icons on them to decide what their attack specialty is. There are Rider Units, Archer Units, Spearman units and others. 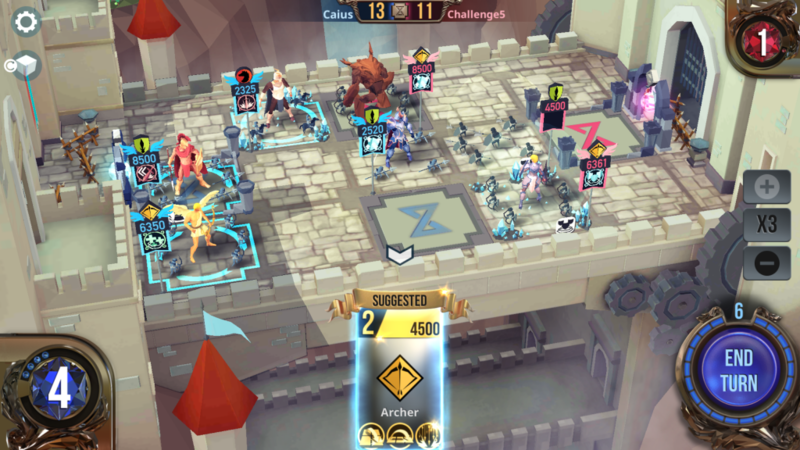 There are also unit cards that grant you a more powerful unit within the unit group from the very beginning similar to how you can place Heroes on unit tiles. In order to play Heroes or Units, you have to make sure your base tiles are empty. These are the summoning spots on the map so when you summon make sure to move your units off the tiles. Aside from Heroes and base units, there are the spell cards that have a variety of different effects. These cards are used to give you an edge in the fight and act mainly as a utility to boost your deck or hinder your opponents. There are spells like Hea, which restore health to damaged units. Confusion, which confuses enemy units making it harder for them to attack your units. And many other different kinds as you get more in-depth with the cards of the game. A big thing to note about cards is each one of them has a cost in order to play them. This cost is linked to a number in the left-hand corner of the screen. This number resets every round and gets bigger as the match goes on. The higher the number the more cards you can play. But in one turn if your number drops below the needed amount for any other cards in your hand you have to end your turn and wait for it to refill next turn. So in order to get the cards, you need on the field you have to pay attention to their cost. 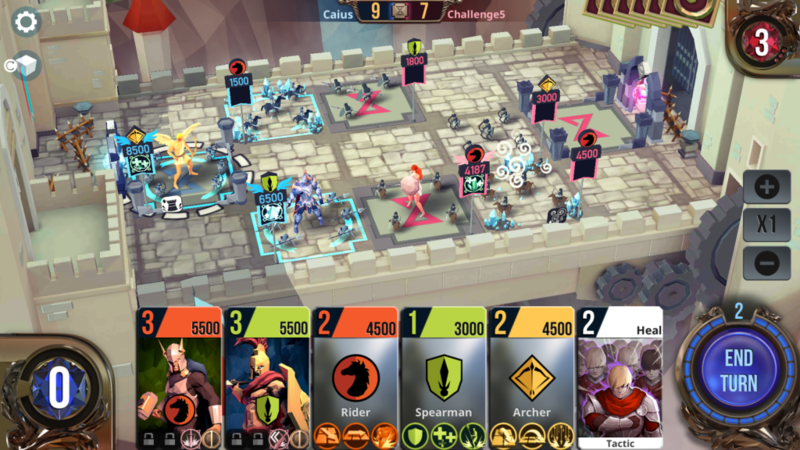 Majestia is, at its core, a strategy card game. So everything that happens within the game needs to be taken with some thought and patience in order to outwit your opponent. The game has a very deep and thorough tutorial that everyone should play through. 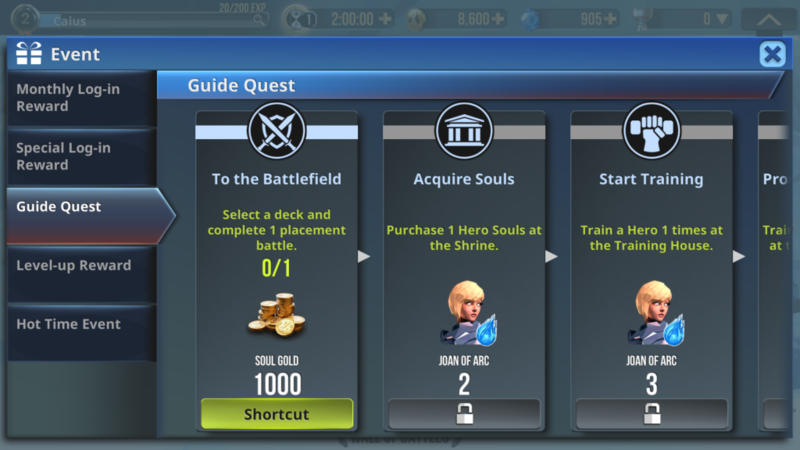 During the tutorial, you’re given a choice between three decks you can start with. Each of the three decks has their own theme and characters in it. And each deck plays differently based on their Heroes and spell cards. So depending on which starter deck you choose determines what cards you start with. But after the tutorial, you can start gaining new cards and building your deck however you want. Once you reach this point it’s good to figure out how you want your deck built. Are you a defensive player or an offensive player? Do you want your deck full of heavy-hitting heroes and destructive spells or defensive heroes with supporting spells? It’s all about deck building and management in Majestia and that’s the most important side of it. As your card collection grows you’ll learn what works best with what mostly through trial and error. My best advice is once you finish the tutorial you should play through all the stages in Single Mode. Finish each challenge section to give yourself a real idea of the game and how to get efficient at it. 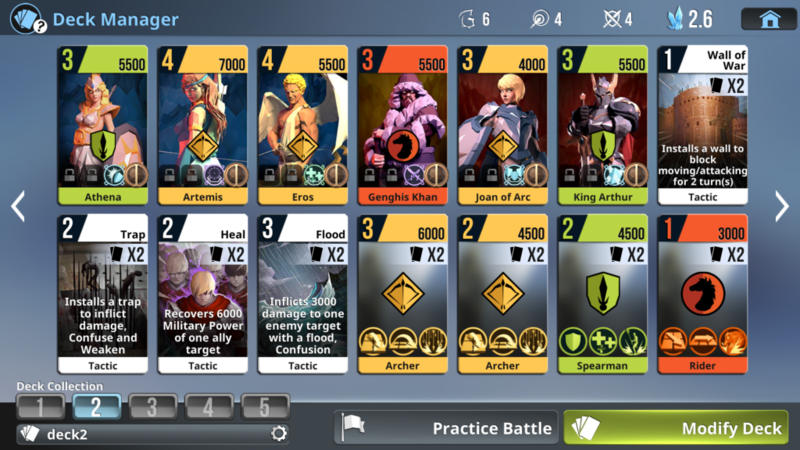 Then once you’ve completed Single Mode take your deck into battle mode and put your skills to the real test. It’s all about strategy and thought and that’s something that comes through practice. There are a few things to do outside of the actual gameplay of the game. One of the smartest ones is to sit on the hub screen for a few seconds everytime you visit and collect the gems that appear there. All you have to do is tap them and you’re getting free gems which are never a bad thing. They come in small amounts but over time small numbers add up. Another thing to do is complete the Events in the game. Events are little side objectives you can complete that give you rewards upon completion. They’re never to difficult and the rewards are always helpful. So making a point to complete all the events will pay off in the long run.